In addition to the information below, you can also go to the following link: https://www.virtualtelescope.eu/2017/08/14/near-earth-asteroid-2012-tc4-extremely-close-encounter-online-observations-11-12-oct-2017/ where you will find a page offering more details on how to see live stream of the passing of the asteroid. Starting at 8 p.m. EDT today (Oct. 11; 0000 GMT on Oct. 12), the astronomy broadcasting service Slooh will air a webcast about the upcoming close approach of the asteroid 2012 TC4. The space rock will buzz Earth just a few hours later, coming within 31,200 miles (50,200 kilometers) of our planet at 1:42 a.m. EDT (0542 GMT). “On Wednesday, October 11th at 5 PM PDT | 8 PM EDT | 00:00 UTC (International Times), Slooh will live stream Asteroid 2012 TC4’s close approach to Earth, as it passes the planet at an estimated distance of 31,000 miles (just an eighth of the distance between our planet and the moon). 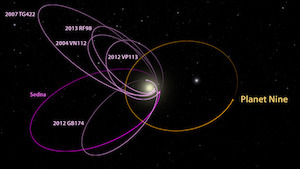 Asteroid 2012 TC4 is no stranger to close encounters: in 2012, the asteroid stunned observers on Earth as it plunged to only 94,000 kilometers above our atmosphere, just a week after its discovery by the PanSTARRS observatory in Hawaii. “And now it’s back. 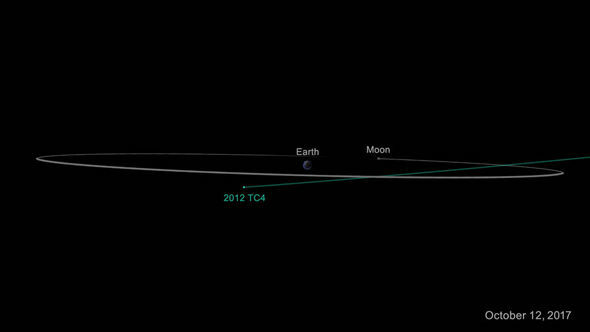 On October 12th 2017, 2012 TC4 will once again fly by Earth on a super-close trajectory. At the moment of the asteroid’s approach, Slooh will train its telescopes on 2012 TC4 in an attempt to capture the fast-moving space rock as it passes between Earth and the Moon. Commentary from our asteroid experts will explore the threat they pose to our planet, both in reality and in the human imagination. We will be interviewing two Sparks and Honey cultural forecasters who will share their insights on the current trending of space in popular culture from their report, “Exploration Innovation Brought Down to Earth,” and the role they believe asteroids will play in the perhaps not-so-distant future.